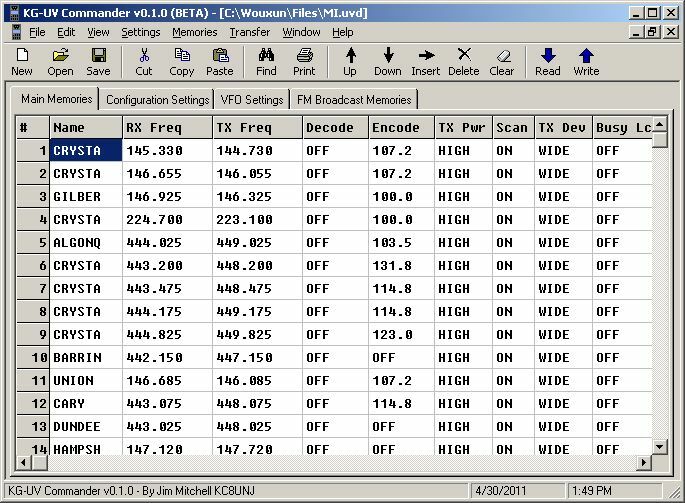 Free programming software for the Wouxun KG-UVD1P, KG-UV2D, KG-UV3D, and similar radios. This project has been a long time in the making. There are a couple of individuals who made this project happen: big thanks goes out to David / K7DB for sharing his memory mapping data and general knowledge of the radio. 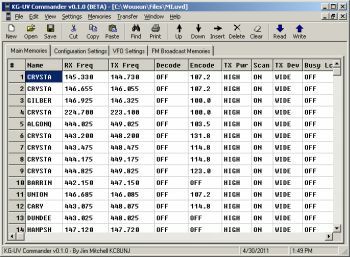 Thanks to Ed Griffin of Wouxun US http://wouxun.us/ and Ken Mirabella of Powerwerx http://www.powerwerx.com/ for providing radios to test. And, big thanks go out to all of the private beta testers, you know who you are. The user assumes the entire risk of using this software. See official license included with the software for more information.